Yeah, so, we're gonnnnna stop ya right there. That's enough voodoo for us!! But if you'd like to cast spells, create hexes, and practice old school voodoo, there's not going to be a better look to accomplish it in than this Adult Voodoo Dude costume. This off-the-wall look will transform you into a character who's ready to slowly torture the poor souls who fall out of his favor. With a stylish suit coat, and macabre details that only a true voodoo practitioner would show off, no one is going to have any trouble identifying you as a master of the dark arts. 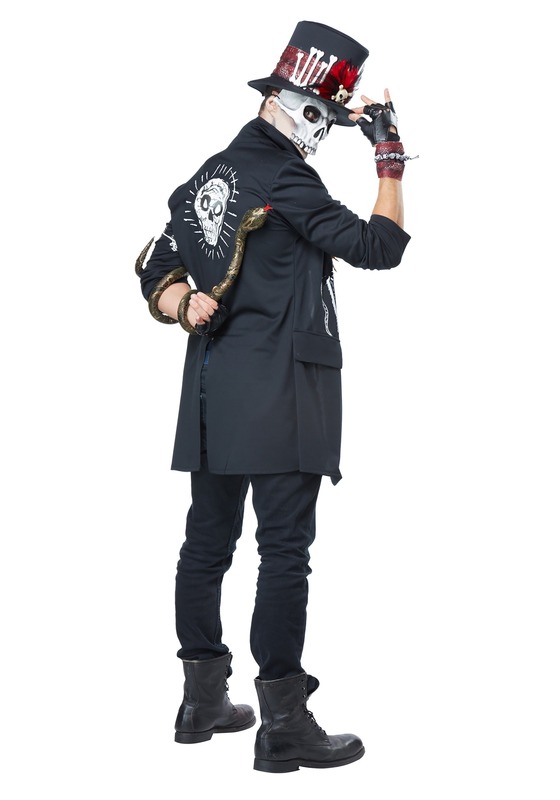 A molded skull mask and foam hat will keep your real identity safely hidden, and printed details and a false vest front add just the right touches. 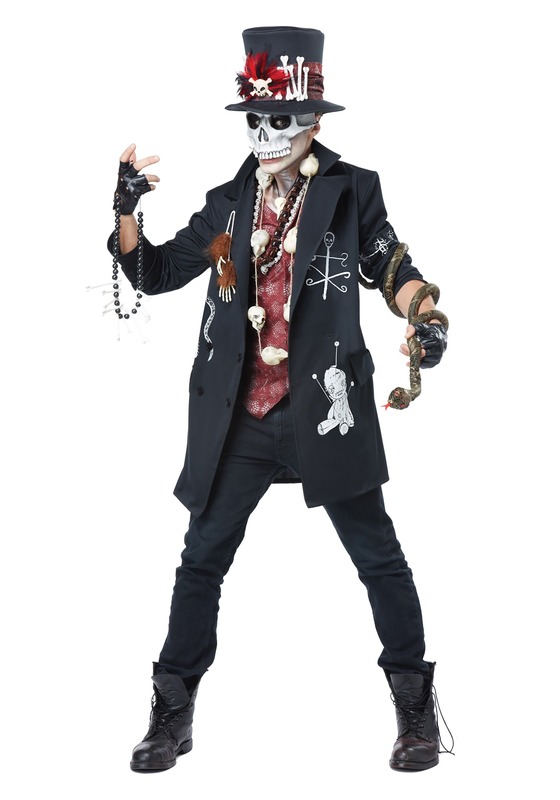 Add a few prop accessories like a snake and a voodoo doll (depicted accessories sold separately), and you're sure to find yourself casting real hexes in no time. Give your loved ones a warning before you put on this costume, because we're sure there's going to be some wicked spells going down! I was a little disappointed that the monkey hands were not included in the package as claimed. They add that extra Creepiness to the costume. This is a well-made costume for the price. I added a few accessories and ended up with not only a scary costume but a well done one. I will be buying from Halloweencostumes.com again.